The Monza wheel is a brand new wheel in the Sure-Grip line of products. This brand new compound was designed to work better than its predecessor, the Power Plus wheel. Completely redesigned to offer a better look and feel in every way. A cross between our Zombie and Cannibal wheels, grip of the Zombie and speed of the Cannibal. Perfect for every day skating but also great for speed skating. 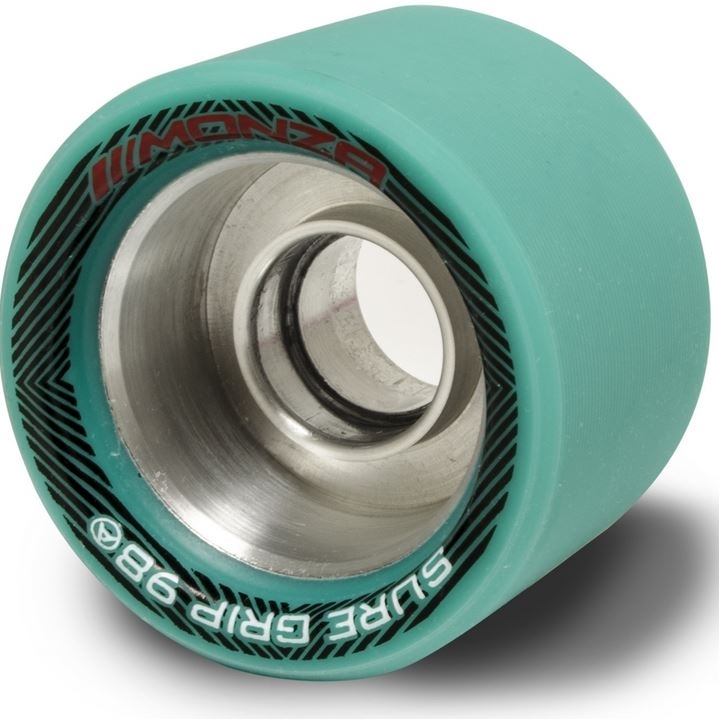 62mm x 42mm profile 98aA.Teal. Sold in 8 packs.